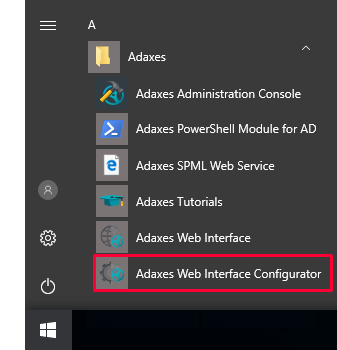 In this tutorial you will learn how to configure the Common Sign In page for Adaxes Web Interface, enable the automatic logon feature, customize brute force protection settings, and modify other options related to sign-in. Adaxes Web Interface provides a common sign-in page that enables users to log in to different Web Interfaces from a single place. The feature can be configured to either allow users to manually select the Web Interface they want to use, or automatically redirect them to a Web Interface based on the rules you define. By default, the Common Sign In page allows users to select themselves the Web Interface they want to log in to. You can configure which Web Interfaces are available for selection and specify the Web Interface to select default. Alternatively you can enable automatic selection of Web Interfaces. When enabled, users cannot select a Web Interface, and get automatically redirected based on if/else rules. For example, if a user is a member of the Administrators group, they can be automatically redirected to the Web Interface for Administrators. Select Common Sign In in the drop-down list located at the top left corner. 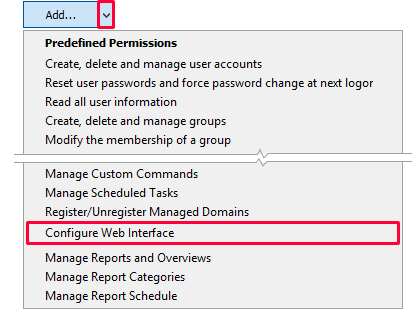 Configure the settings in the Target Web Interface Selection section. If you don't want the Common Sign In page to be available to users, you can disable the Common Sign In feature. In the drop-down list located at the top left corner, select Manage Configurations. In the dialog that opens, clear the checkbox for Common Sign-In. Enable automatic logon to the Web Interface. Customize brute force protection settings. Allow users to enter their usernames without the domain part when logging in to the Web Interface. Example: jsmith instead of DOMAINNAME\jsmith. Allow users to use a specific property of their account as login name. For example, you can allow users to use their email address or Employee ID as username. Embed custom HTML code to the Sign-In page. To enable automatic logon to the Web Interface, select the Auto Logon option. If automatic logon is enabled, users will not need to enter their username and password to sign in, and the Web Interface will use Kerberos/NTLM for authentication. The Auto Logon feature may require additional configuration. For details, read the information provided in the Auto Logon section. To enable protection against brute force attacks, select the Brute Force Protection option. For details on how to configure brute force protection, see Prevent Brute Force Attacks. 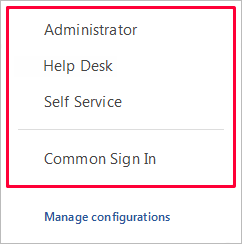 In the Username section, configure settings related to the Username field. In the Page Customization section, you can customize the top and bottom parts of the Sign In page.